If you’re aged 19+, unemployed and claiming benefits, Springboard can help you study for a FREE CSCS Card. 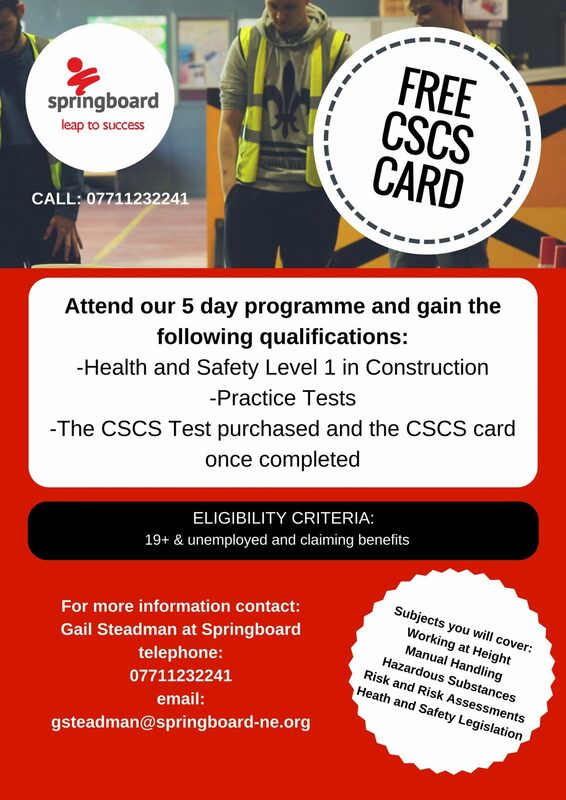 Our 5 day CSCS cards are available at all our locations. You will cover subjects such as Working at Height, Manual Handling, Hazardous Substances, Risk and Risk Assessments and Health and Safety Legislation. You will gain a Health and Safety Level One and if you pass, this will enable to you complete and gain the CSCS card.